Our extraordinary customer service, marked by frequent and honest communications, and pleasant interactions with our employees sets us apart from our competitors. We are your trusted partner that works to generate solutions. Our company has expertise in all aspects of the aluminum market. We buy, sell, swap, trade and recycle aluminum. Our facility has 5 furnaces where we recycle raw and scrap material into low profile ingot or molten form for use in many applications. We run a clean, safe, advanced technology facility with adherence to environmental regulations. We are ISO 14001 certified. Our monofill meets or exceeds all environmental responsibility requirements set forth by the TN Dept. of Environment and Conservation. Located in Mt. 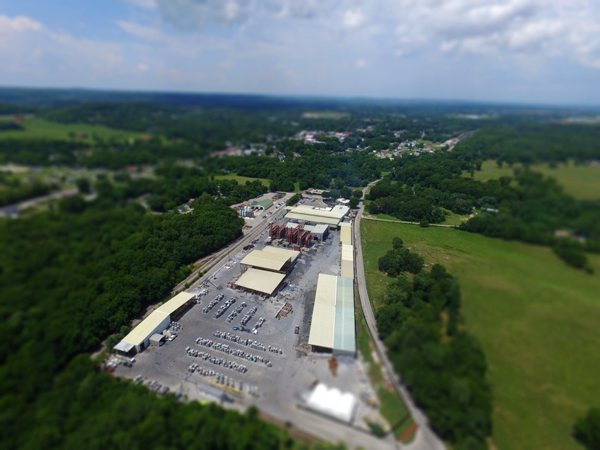 Pleasant, TN, Smelter Service Corporation has been recycling since 1978. Over the years, SSC has continued to improve its aluminum recycling process with state-of-the-art monitoring equipment. This technology, combined with our carefully trained and capable workforce, has enabled us to achieve the highest recovery rates in the industry. All this has been possible while using less energy in the processing of each unit of recyclable material. SSC serves as one of the solutions or steps in the world’s aluminum recycling strategy. We procure raw materials and by-products from industrial scrap yards, primary producing facilities, rolling mills, etc. and either trade them into a different part of the recycling system or melt them into a usable form to continue onto the next recycling process step in the industry. Our plant is strategically located to best serve our clients with quick and dependable deliveries.